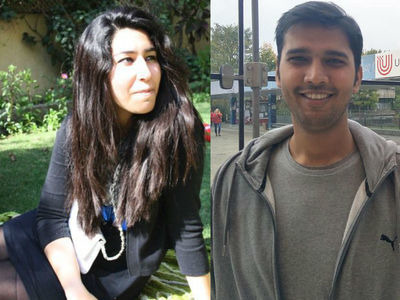 NEW DELHI: Two Indians, both working in the field of gender equality, are among the 20 finalists shortlisted for the Commonwealth Youth Awards 2018, which recognise outstanding young people whose innovative projects have had a significant impact in their communities. The finalists have been selected from a pool of 400 applicants by the Commonwealth Youth Programme. Mrinalini Dayal, a senior strategist at a Delhi-based grassroots campaigning organisation ‘Haiyya’, has made it to the list and so has Yogesh Kumar, founder of ‘Even Cargo’, a social enterprise which promotes gender equality through employment of women for couriering, traditionally a male preserve in the country. “I have been selected for my work on the UN’s Sustainable Development Goal 5 (achieve gender equality and empower all women and girls) through my campaign ‘Health Over Stigma’ that fights for unmarried women’s access to sexual health services,” she said. The campaign aims to challenge the stigma of accessing sexual health services and create a safe haven for women to reproductive health facilities. “Till date, ‘Health Over Stigma’ has trained more than 450 young activists,” according to the statement by the Commonwealth published recently. The 20 finalists span every region of the Commonwealth, including Africa, Asia, the Caribbean and Americas, Europe, and the Pacific. “The awards recognise outstanding young people aged 15-29 whose innovative projects and programmes have had a significant impact on their communities,” the statement said. “This year, focus is on celebrating young people’s contribution towards a fairer, more sustainable, more secure and more prosperous future for the Commonwealth: the four sub-themes of the Commonwealth Heads of Government Meeting (CHOGM) taking place in London in April,” it said. Regional Young Persons of the Year will be selected, with one exceptional entrant being recognised as the Commonwealth Young Person of the Year during the Commonwealth Youth Forum, in London in April, it said. “In addition to a grant of GBP 1,000 to continue their development work, the finalists will each be awarded a trophy and certificate. The Regional Young Persons of the Year will receive GBP 3,000, and the Commonwealth Young Person of the Year will pick up GBP 5,000,” the statement said. The finalists this year have initiatives and projects that aim to build a more secure, prosperous, fairer and a sustainable future for all in the grassroots levels and exemplify the outstanding contribution of young people from across the Commonwealth in achieving the SDG and realising the CHOGM2018 aspiration ‘Towards a Common Future’, it added.